Every player can set its own particles how they want to! Including spacing between particles, range, maximum amount, update interval, how long to show them. Supports coloured reddust and note particle. So in theory there is over 16.5 millions possible variations available to play around. 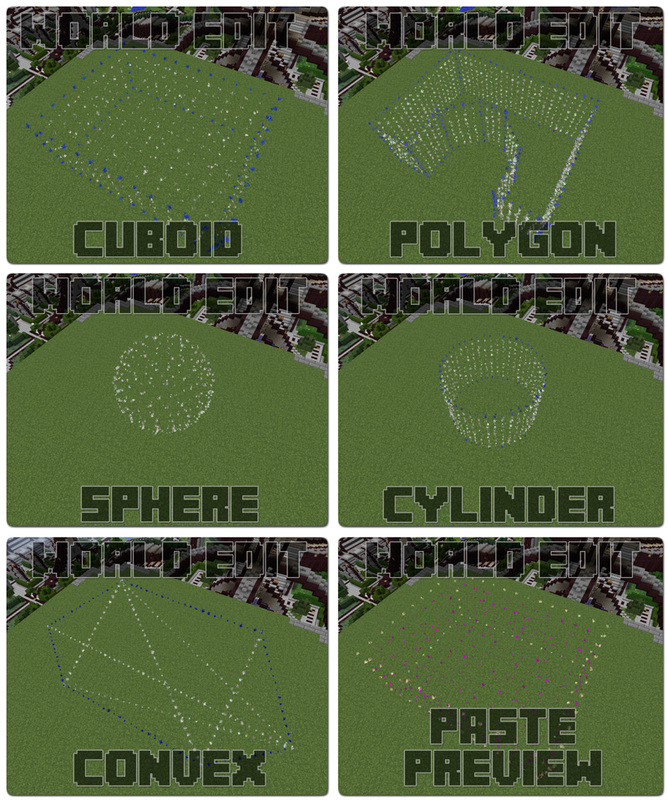 Supports WorldEdit paste preview for accurate pasting before actual pasting!!! Create particle line towards block you are looking. For simple pointing for other people to see. 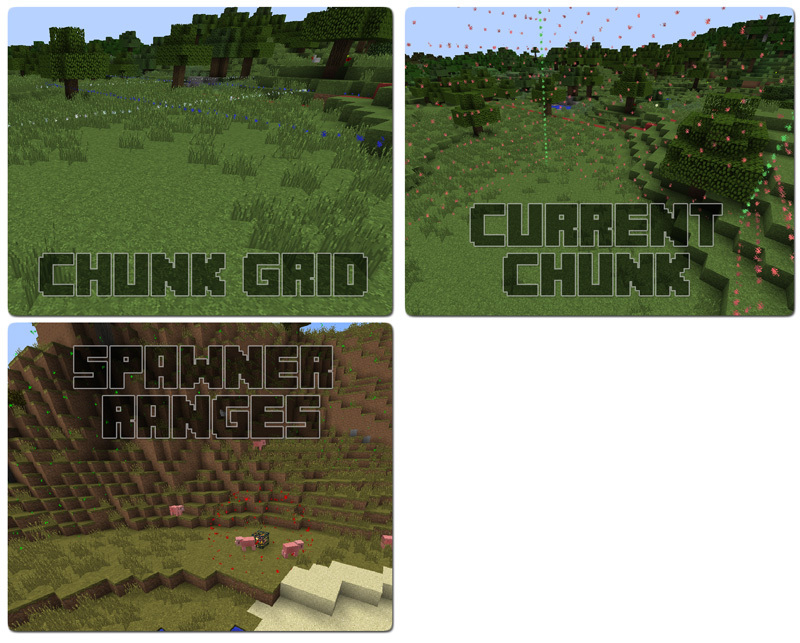 Option to turn on chunk grid to work in similar way as ChunkBorders mod. But this is not mod! 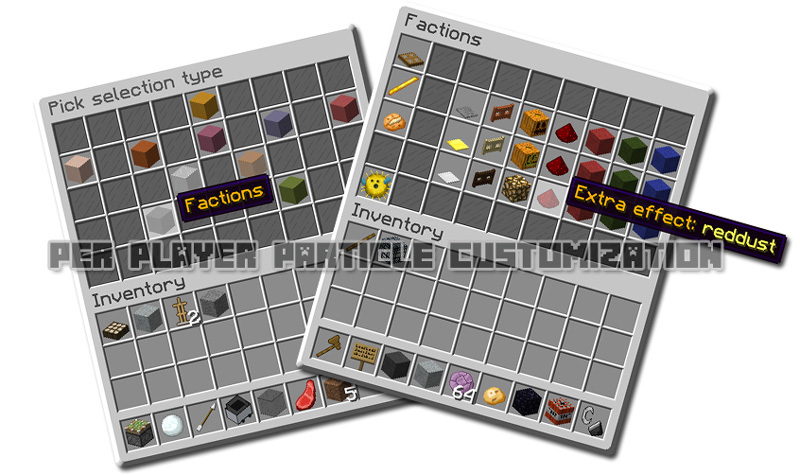 Option to set maximum particle effect for each player to avoid unnecessary load on players and servers side. Smart code will evenly spread available particle across selection for best looks and to avoid of millions unnecessary particles. /svis we (paste) (lock/tp) – if paste variable not used will show WE selection (Keep in mind that WE selection is shown automatically on selection, this is only re enables it if timer runs out). If paste variable used then possible paste location will be shown for accurate positioning even after using rotate or flip functions. Option to lock current position to enable movement around and get closer look where paste ends up. Option to teleport to locked position for simple adjustments or actual paste. /svis fc (fixy) – Shows factions claim lands in 3 different colors depending your relationship with that faction. /svis towny (fixy) – Shows towny claim lands in 3 different colors depending your relationship with that town. /svis gp (fixy) – shows GriefPrevention claim boundaries you currently in. /svis izone – shows iZone selection. /svis cb – Shows command block selection area if its set. Need to be looking at block it self.